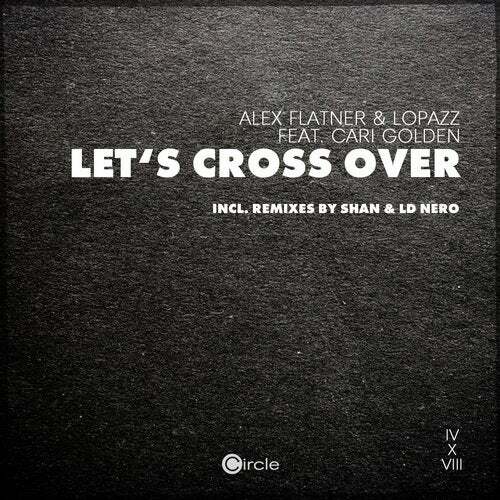 OAlex FlatnerO has become such an active production powerhouse since the 90s with endless amounts of productions spanning from Techno to Tech and the deeper side of house. OHes made creative hits in the dance music world and always strived or something original and unique in sound. OLopazzO is an inspired choice of producer and has warmed the ears of many with his releases on OGet Physical MusicO, "Cocoon" and the legendary OPokerflatO. Theres always something momentous about a OLopazzO production that leaves you wanting more. OCari GoldenO is the immerging voice of house music. This LA based vocalist is inspiring us all with her range of creative flair. Her recent collaborations have really set the tone for her diversity with a vocal performances reminiscent of OGroove Is In The Heart O by ODeee-LiteO. "Pal/SL & Trelik". "Let's Cross Over" ! !